Norway's Foreign Affairs Ministry says boycotting goods coming from Israeli settlement is legal; Norway's foreign minister sign document saying boycotting Israel is inappropriate; Several local authorities, municipalities make boycott initiatives; Norway's high education establishment cast academic boycott on Israel. Norway’s Foreign Affairs Ministry determined that boycotting products and services coming from Israeli settlements is legal and does not contradict Norway’s international trade commitments. Nevertheless, the assertion was said to be inappropriate, according to an internal document signed by Norway’s deputy foreign affairs minister published during the weekend. “The government does not consider boycotting Israel’s product to be helpful in solving the Israeli-Palestinian conflict,” the document said. The document was sent as response to Tromsø district’s governor’s request to be updated about the juridical examination launched by Norway’s Foreign Affairs Ministry in 2016. 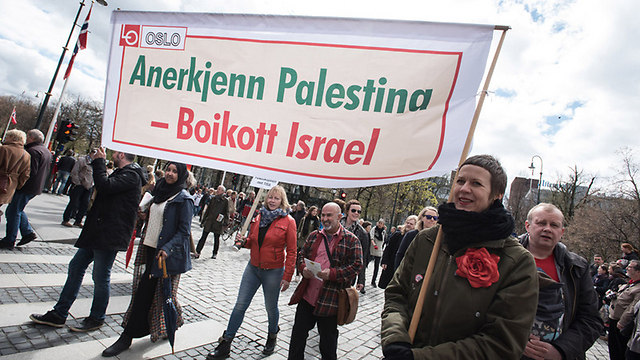 The examination began after two Norwegian cities—Tromsø and Trondheim—applied boycott measures on products and services coming from Israeli settlements. Norway’s foreign minister at the time, Børge Brende, criticized the move and announced Norway’s government is against boycotting Israel in any shape or form. Brende announced that Norway’s Foreign Affairs Ministry would conduct a juridical examination meant to review whether the boycott measures appliedby local authorities and municipalities correspond with Norway’s international trade commitments. The juridical examination announcement halted further initiatives for boycotts by municipalities and local authorities. However, in 2017 another initiative for boycott was made in the town of Bodø, but was rejected by the majority claiming such a decision cannot be made while the Foreign Affairs Ministry is examining its legality. 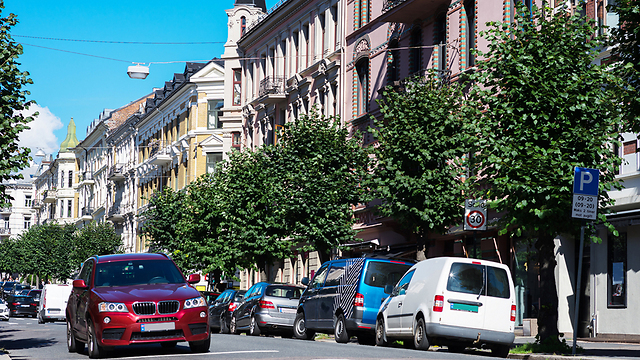 Only recently a similar initiative was rejected in the second biggest city in Norway—Bergen. A similar boycott initiative was made in the town of Lillehammer in April 2017 and was implemented. This week another proposal to boycott Israeli goods was approved in one of Norway’s town, despite efforts done by Friends of Zion organization to halt it. Since the juridical examination had begun, countless inquiries were made to the Norwegian Foreign Ministry in order to receive updates about it. As time passed, many wondered why the ministry has been foot-dragging for so long. Israel estimates that in the wake of the documented published by the Norway’s Foreign Affairs Ministry, many boycott initiatives will follow in local authorities and municipalities. Until now, all boycott initiatives against Israel focused on goods coming from the settlements. Only the Norwegian professional unions stood out by casting a comprehensive boycott on goods coming from all of Israel and not just from the settlements, but have not implemented it yet. Recently the professional unions have been saying that practical options must be reviewed in the light of latest skirmishes between the IDF and the Palestinians along the Gaza border fence. The Trondheim University’s management had decided in 2009 to cast an academic boycott on Israel. The university’s board of trustees decided two weeks later to cancel the boycott following the struggle against it led by Haifa University’s rector. The rector of Bergen University—one of Norway’s biggest academic establishment—had declared in 2010 the university will cast an official academic boycott against Israel for alleged Apartheid behavior.